Mobile Expert, a trusted name in the cell phone and tablet repair segment, caters to all your repair services required for your iPhone 6. Our repair services are going to meet your requirements and expectations. We get to do all the repair work perfectly no matter what sorts of problem you are facing. From screen repair and replacement to a battery and replacing the other parts of the phone, we make sure that the job done is perfect, fast and hassle-free. Apple’s iPhone 6 were sold like hot cakes in 2014. Damage to the phone will undoubtedly hit you hard. Learn how the repair and replacement services from Mobile Expert are going to help you! You all agree that a cracked screen is going to spoil the UI experience of your valued possession. Bring your phone to Mobile Expert. We ensure that the screen repair is done quickly and you get a phone that looks as good as a new one. 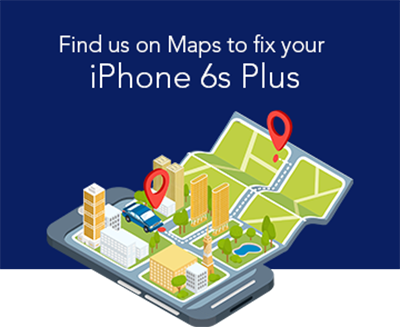 The experts have years of experience in fixing all sorts of screen damages for iPhone 6. We deal with the broken display and shattered screens. Bring to us your iPhone with the broken screen for a free estimate of the quote. An accidental slip of your phone in a water tub is going to damage the internal parts and the motherboard of your phone. We are the experts who have the proficiency in dealing with water damages. Our services are affordable and cover a warranty even after we repair.